Best Computer Malware Cleaner | How Malware Affect Your Computer? Malware is stealthy and can get installed on your computer without your permission. It finds its way to your computer in many ways. Malware commonly infects the computer through some social engineering techniques. Social engineering involves manipulation to trick users into installing malware without their knowledge. It’s because of social engineering that malware infections are rampant worldwide. What are the types of social engineering? A phishing email pretends to be an important email from a company or someone you know. Often it has an intriguing or interesting subject line that tempts the user into opening it. A phishing email contains a malicious attachment that once downloaded, installs malware on the computer. It is the leading cause of malware infections worldwide. CSO said that in 2018, 92% of malware was distributed via phishing emails. A phishing URL is click bait. It promises a game cheat or a crack version of the software. Once the user clicks on the link, it opens a malicious website that ask for personal information. The information is transmitted to the hacker through a remote server. A phishing link also installs malware silently in the background. Fake software pretends to be a legitimate application such as Adobe installer. This malicious application contains malware. Once the user runs the file, malware gets installed. Fake software is spread even on legitimate websites such as Google Play Store. If malware infects the computer, here’s what to do to get rid of malware. Before downloading the best computer malware cleaner, you can remove malware manually first. Click on Start and type in Recovery Options. Click on Restart now under Advanced startup. Click on See More Recovery Options. Click on Restart and choose Safe Mode. Once the computer boots Safe Mode, type in MSCONFIG in the Windows search bar. In the Startup tab, look for any suspicious file in the list of applications and disable it. Once the malware is disabled, it cannot damage the computer further. The TEMP folder is the common hideout of malware in the computer. It pretends to be a legitimate exe file in the TEMP folder to evade detection. One sure way to get rid of malware is to delete temporary files. Just type %temp% in the Windows search bar. Clear all the temporary files in the folder. Clearing the temporary file releases some space in the computer. With the temporary files cleared, you can now download the best computer malware cleaner. It is important to go for best computer malware cleaner because an inefficient malware cleaner may fail to detect advanced types of malware. You can download Comodo Anti-Malware for free. Comodo Anti Malware is one of the best computer malware cleaners that provides complete malware protection. It consists of multi-layered defense to keep the computer malware free. Once downloaded, run the file, and finish the installation. The anti malware displays the threats and viruses detected on the computer. Just follow the prompts on the screen to remove malware. That should eliminate any trace of malware from the computer. For a business network, security software with advanced endpoint protection is essential. A business network is accessed by many endpoint devices, so scanning and protecting the endpoint devices is vital. Comodo Advanced Endpoint Protection provides complete malware protection for your network and endpoint devices. 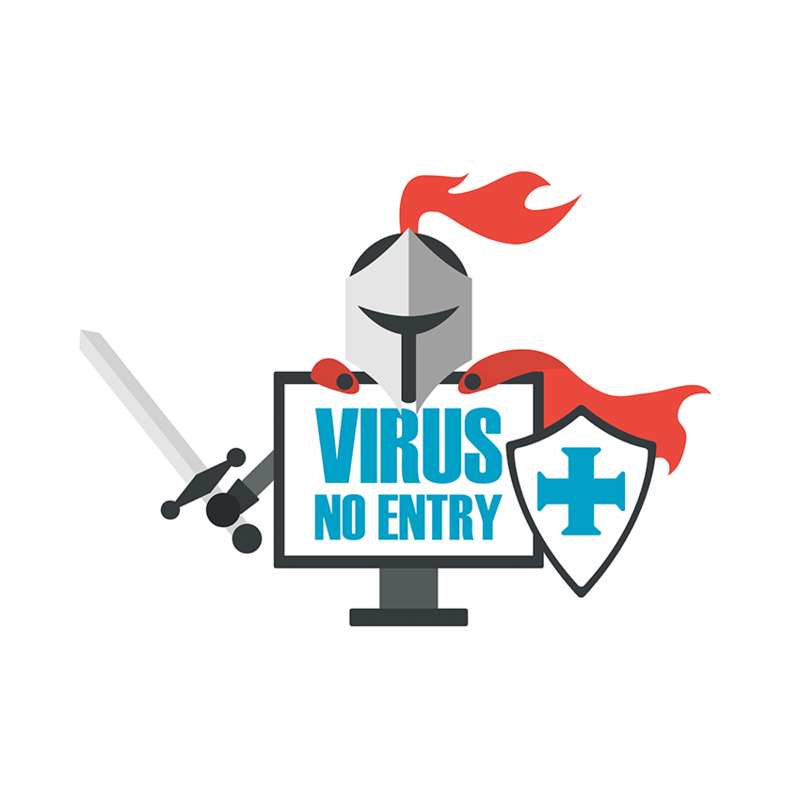 It has advanced security features that protect the endpoint devices from ransomware, rootkit, keylogger, and more! Unlike those of the other security software, the sandbox technology of Comodo Advanced Endpoint Protection is built upon Default Deny. It auto-contains any untrusted file when it reaches the computer. The Auto-Containment has contained over 1,000,000,000 untrusted files from 85 million endpoint devices without any report of infection. Comodo Advanced Endpoint Protection also renders fileless malware useless. It uses HIPS that has advanced features to detect sophisticated threats that can evade the detection of the antivirus and firewall. With HIPS guarding the computer memory and registry, they are free of any malicious modification. Download Comodo Advanced Endpoint Protection today to ensure the protection of your network and endpoint devices against advanced malware attacks.